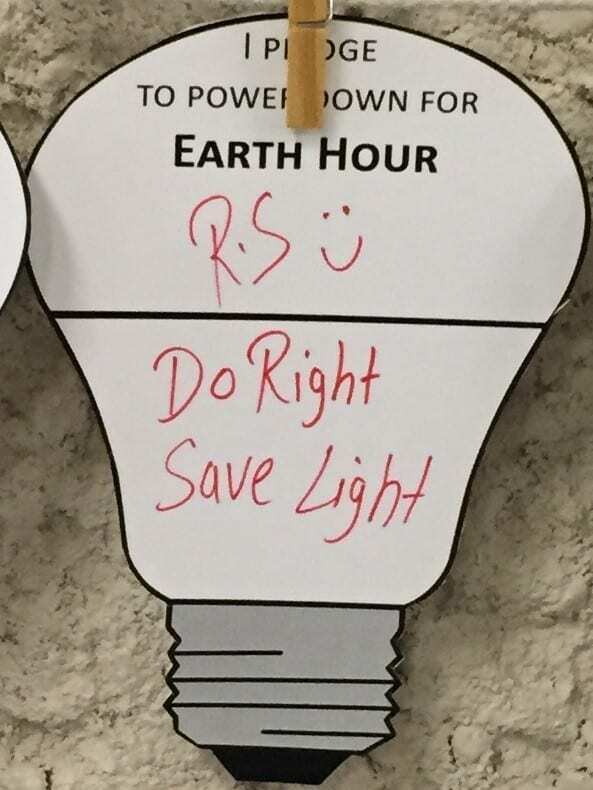 Monday, April 22nd is Earth Day! Earth Day is a worldwide event to celebrate and show appreciation for our planet, and demonstrate support for a sustainable tomorrow. Since it’s the only Earth we’ve got, let’s celebrate for more than just one day. The Sustainability Office is pleased to host our 9th annual State of Sustainability, and have a great line-up of free and fascinating events, running April 23 – May 9th! 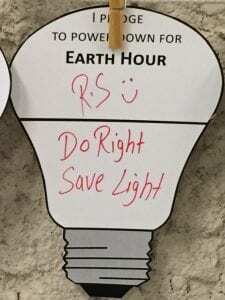 Check out our RRC Earth Day events, and keep an eye out for more details. Transportation is available, leaving at 11 am. About Winnipeg’s Recycling Material Recovery Facility is responsible for producing and marketing all of Winnipeg’s recycling. It’s the one-stop-shop for 10 different materials collected from the city’s recycling depots and the recycling carts you wheel to your curb/alley every week. The 50,000 square foot facility has been operating since 2003. Through conveyor belts, heavy-duty magnets and manual sorting, see how 190 tonnes of residential recyclables are processed each day. It’s a fascinating “must see” – register today! Lunch provided. Registration not required. About It’s tax season, and taxes are everywhere. If you’re not filing your taxes, you’re thinking about the impacts of the new carbon tax while you’re filling up. Did you know that there’s a connection between the two? 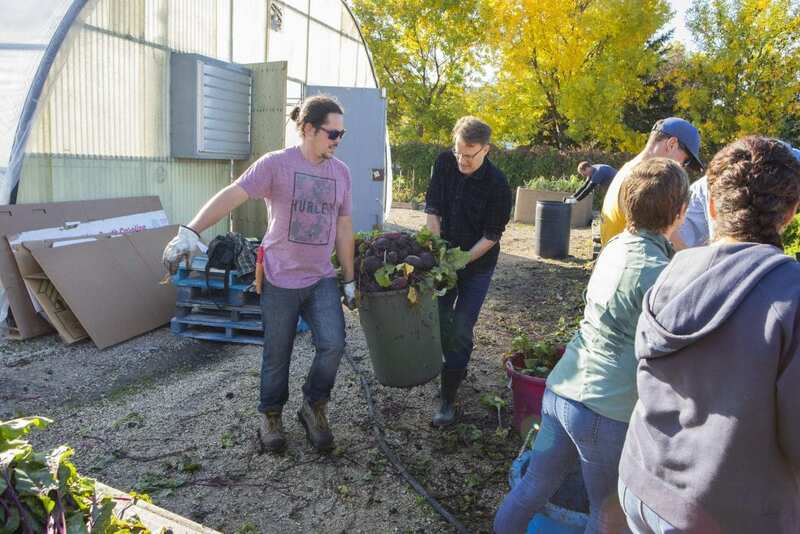 The Government of Canada has created a climate action incentive (CAI) where Manitobans can claim up to $339 when filing an Income Tax and Benefit Return, a way of returning revenue from the carbon tax back to you! Learn more about the escalating impacts of the carbon tax, helpful tips, and information to understand how it will impact you. You’ll also find out practical ways you can reduce your tax and hear about greenhouse gas impacts. About Once you have done your taxes and claimed your CAI, bring old documents from home and have them shredded at the College, on the spot! You can even stay and watch your documents being shredded on a monitor outside of the shredding truck! About Heavy materials weighing you down? Now is the time to get rid of all of that pesky e-waste from home! RRC is holding an e-waste drive to collect and recycle old, broken and unwanted electronic waste. *College equipment with an asset tag must be accepted in-person at Shipping and Receiving to ensure proper disposal. *Please remove all private data before dropping off electronic equipment. RRC is not liable for data or digital content left on your device. About Time to clean-up and Marie Kondo NDC! Get rid of items that no longer spark joy (your computer and phone get a free pass 🙂 ). Empty your shelves and drawers of old office supplies, pens and markers, decorations, unwanted kitchen items, electronics and e-waste, used batteries, and toner and we’ll help to give these items a useful second life. Got a lotta junk? Book our collection crew to pick up items at your office! Register here. Pssst! Here’s a tip – bring your batteries and toner from home so they get disposed of safely too! *For larger items please contact Materials Management: scoates@rrc.ca. About The 3 R’s are a cliche, but it’s because they’re timeless and true. Let’s give new life to used items on campus, to reduce our waste and reuse what we have. Items that were dropped off during the Great College Clean Up will be sorted and available to take home. Aren’t we clever… and a little sneaky? One person’s junk is another person’s treasure. Come check out what’s available and free for the taking! Did you miss out on the College Clean Up and have things you’d like to gift? You can drop off items for re-purposing while the shop is open. All unclaimed items will be donated to local non-profits and charitable organizations. Hi Everyone! 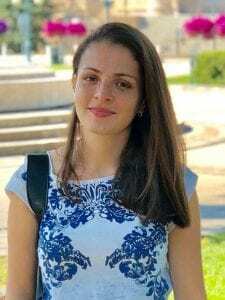 My name is Ana Antunes, I am an international student from Brazil, I am currently attending the Community Economic Development program at Red River College and during the month of April I will be working with Whitney, Kale and Sara at the Sustainability Office as my program practicum placement. I am passionate about sustainability, green living, reducing our impact on the environment, supporting small businesses in achieving social and economic wellbeing, people empowerment, educating for citizenship and everything else that leads us to a happier and more environment friendly living. I have always had a strong connection with the environment and growing up in a family that valued being close to nature, and having contact with the land and animals, has fostered my love and care for the environment and my awareness of our impact on Earth. 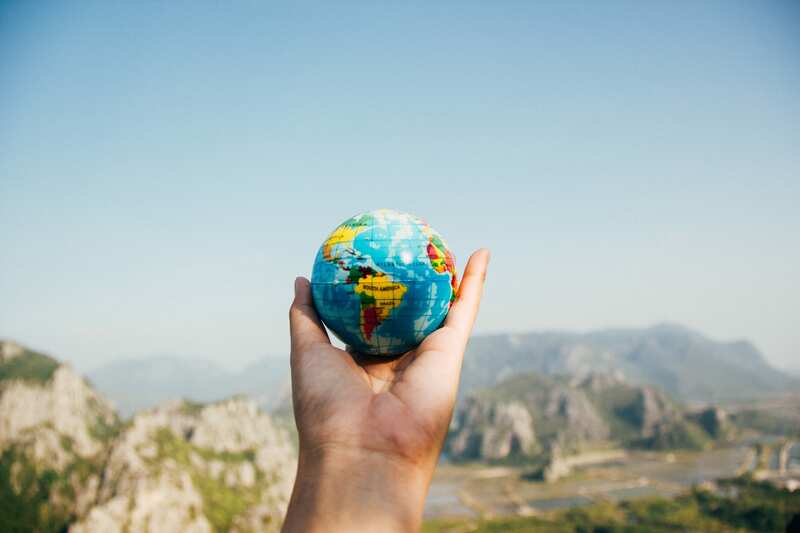 Over the years I met many other people that have touched me deeply with their knowledge and wisdom and that have influenced me to choose to be more mindful about my everyday choices and the impact of those choices on my ecological footprint. I have a bachelor and a teaching degree in Biological Sciences from Brazil which added a lot to my environmentally friendly approach while dealing with communities, teaching, working towards problem-solving, developing creative-thinking skills and in several other aspects of my personal life as well. As a Biologist I feel I have the duty to protect the environment, to increase people’s environmental awareness and to find more sustainable ways of living. 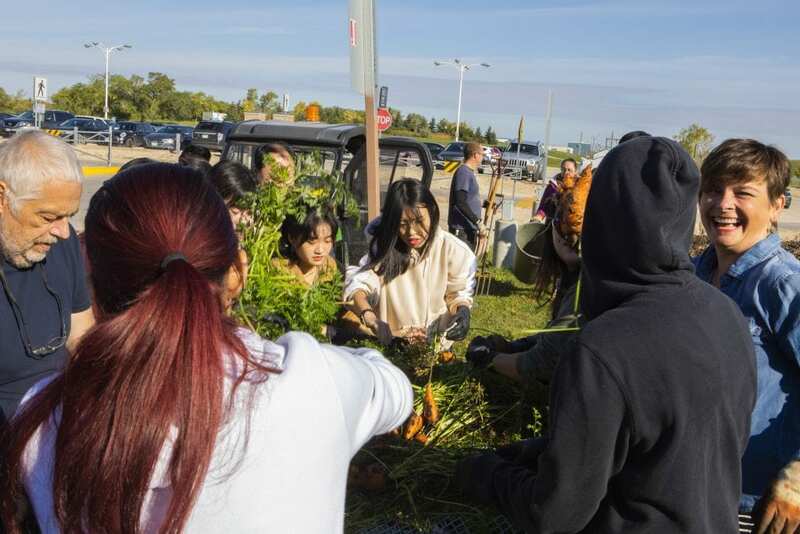 However, my experiences taught me that environmental awareness is intrinsically connected to critical thinking, community involvement, social awareness and cultural, health and economic aspects. That is why I decided to join the Community Development program, to be able to work with communities facilitating solid, inclusive, respectful, equitable, sustainable and healthy growth. I believe that only when all basic needs are met and individuals are involved and educated for citizenship, we will be able to work for a sustainable planet. So far, I have mostly been focused on the issues and possibilities for sustainable living at the individual level and working at the Sustainability office has been a great opportunity to look at the issues and possibilities that emerge at the institutional level. Learning from Kale, Whitney and Sara’s experience on how we can reduce our impact as an organization is a huge opportunity for me and I am very excited to be able to absorb some of this knowledge while bringing my own international CD/CED student perspective to their work. Although I will only be at the office for a month, I will have plenty of projects to contribute to. Some of the things I will be working on during my time here will be researching options for repurposing excess office supplies and materials, researching and drafting printing guidelines to support paper reduction, developing sustainability-focused content for student tours and providing support for the upcoming State of Sustainability (April 23 to April 26). In my spare time, I like to explore Winnipeg (there is so much to discover! ), be close to nature and spend quality time with my mini-family (husband and dog) and friends! It’s that time of year! Time for RRC’s 4th Farmers’ (and Makers) Market! But, this time around the market is going to be done a bit differently. There are so many amazing local vendors that have connections to the College (by being current students and staff, or College alumni) that we decided to showcase these incredible talents with our first ever “Made by RRC” Market! This special market will exclusively feature the local artistic talents of RRC staff, students and grads. 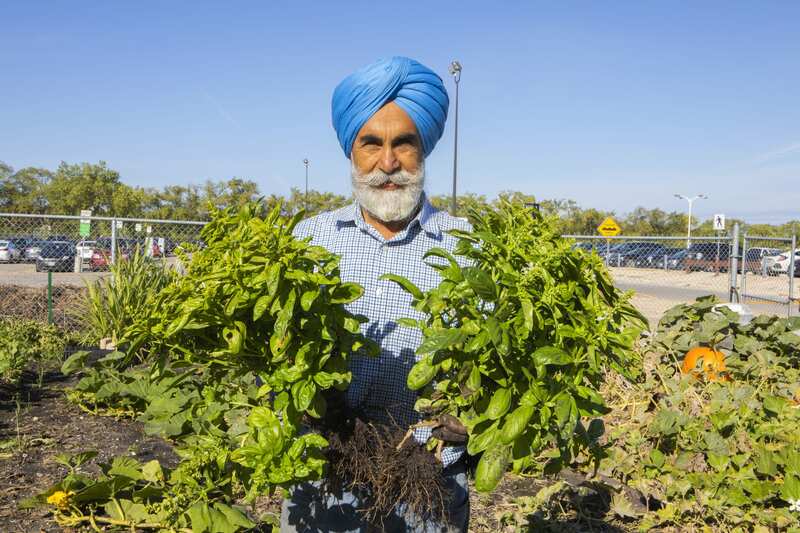 At Red River College, we’re growing more than innovative minds. 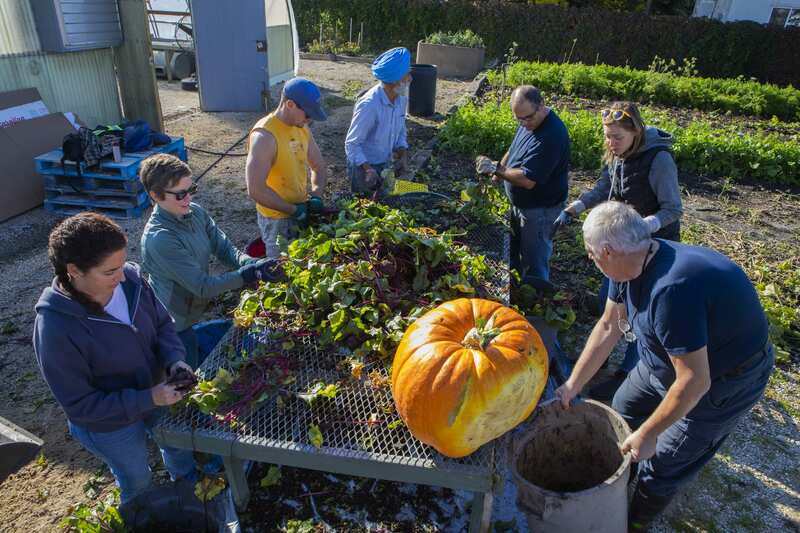 Throughout the spring, summer and fall, the College’s Grounds department went above and beyond their regular responsibilities to maintain a vegetable garden at our Notre Dame Campus. 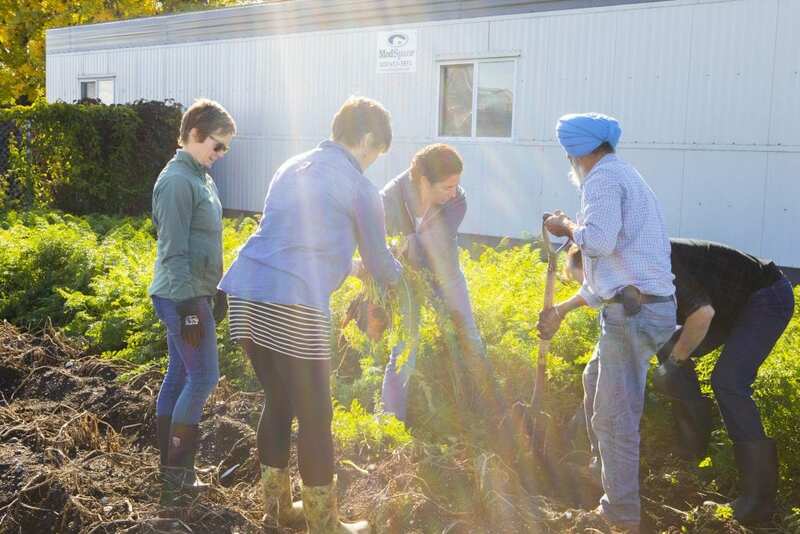 On this 30’ X 60’ plot of land, we grew a variety of vegetables to donate to Winnipeg Harvest in support of the corporate Grow-A-Row initiative – a program that’s collected more than 4 million pounds of produce since its inception in 1986. 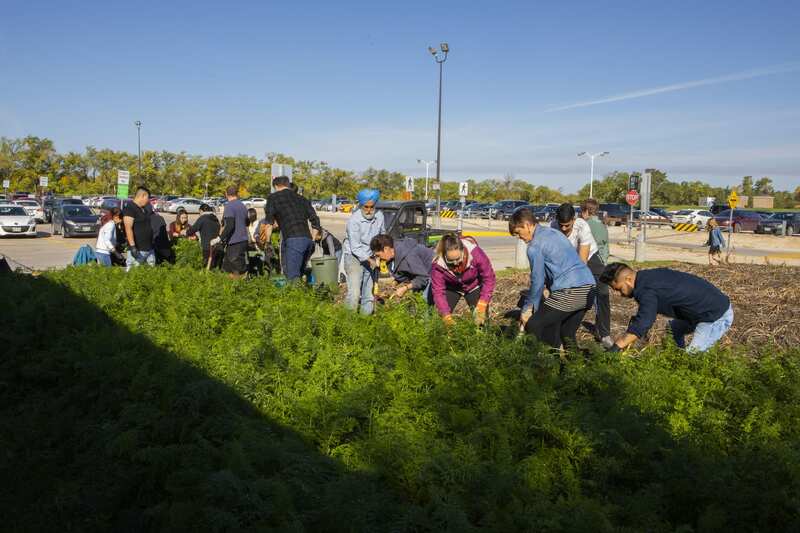 Last week we assembled an enthusiastic crew of students and staff (including our Prez, Paul Vogt) to join the Grounds department in the harvest. 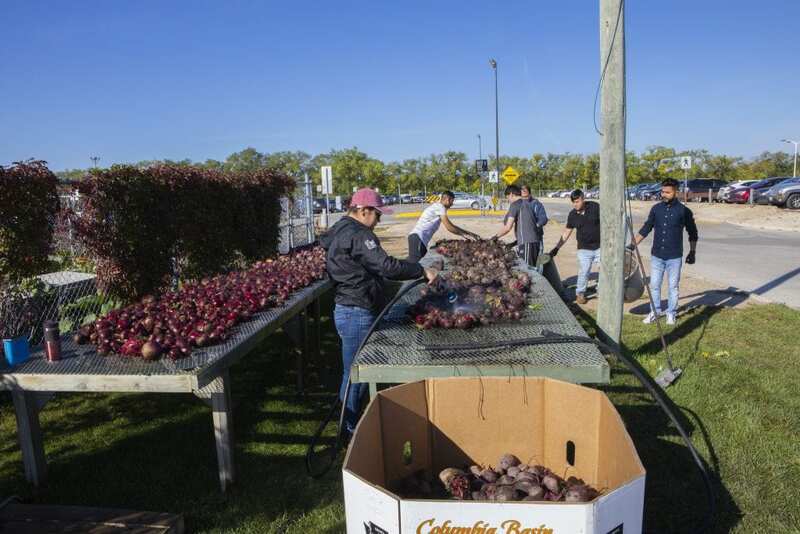 Once all the digging, trimming, scrubbing and boxing was complete, we were thrilled to donate a whopping 3,100 lbs of carrots, beets, onions potatoes to Harvest, with a portion going straight to the RRC Students’ Association food bank. Click here to see the full gallery of the 2018 Grow-A-Row Harvest. Coming to a pie near you! A ton of fun was had! Fair Trade Campus Week is right around the corner! Fair trade is about re-connecting you to the products that you buy, every single day. From September 24-29, come celebrate the fair trade movement and Fairtrade certified products on Campus! Stop by our Fair Trade Campus Day event Thursday, September 27th from 11:00 – 1:30 pm in the Library Hallway (NDC). Sample and discover your favorite blend of our new Fairtrade Certified Spirit Bear Coffee and vote to win a free bag of your favorite! What’s coffee without a treat? Chef Barbara O’Hara and her students will be baking up some chocolatey fair trade goodies, you will not want to miss. In addition, Ten thousand Villages will be selling fair trade merchandise alongside our table full of fair trade giveaways and your chance to enter to win a GREAT prize pack. Hint: Fairtrade products can be found in vending machines, food service locations, the Campus Store, and The Ox. Think chocolate, coffee, and tea! RRC’s Third Annual Farmers’ Market – See you there! It’s that time again. The leaves are starting to turn, the air is crisp, and pumpkin everything has begun. Fall is quickly approaching, and so is our third annual RRC Farmers’ Market! On Friday, September 14th, the Library Hallway will be transformed into a festive fall market full of local goodies open to all RRC staff, faculty, students and the public. Not only do we have a great line up of new and returning vendors, but this will be the first chance to purchase our very own 2018 RRC Creekside and Bijou honey. So, check out the vendors below, start making your lists, hit the ATM and get your re-usable bags ready!